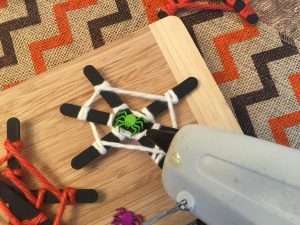 These bright and simple Spider Web Halloween Craft for Kids are a great activity for you and your minis. 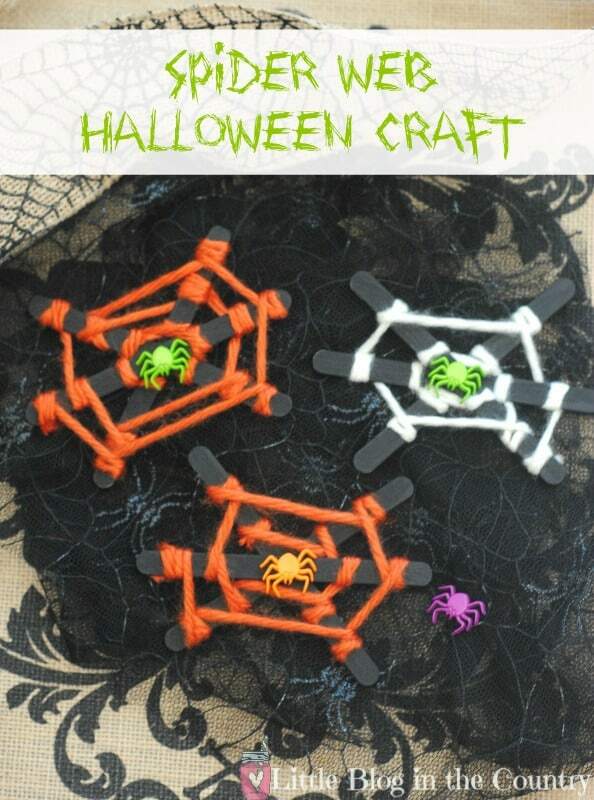 They are fun to put together, help develop fine motor skills, and add a touch of Halloween whimsy wherever you place them around your home. Lay down the old newspaper on the surface you will be working on or use a large paper plate. 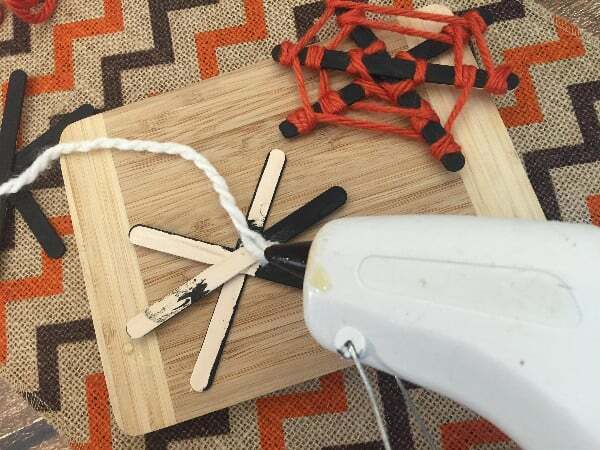 Use the hot glue gun to glue (2) popsicle sticks into a X shape, then glue the third popsicle stick on top to resemble a web shape. 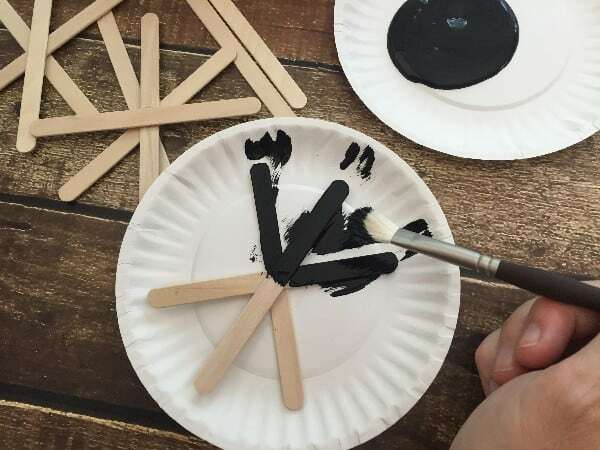 Once the popsicle sticks are glued together and set, paint them black using the acrylic paint (see photo). Set aside and let dry. Repeat with the other ‘webs'. After they are dry, grab the yarn you want to start with. 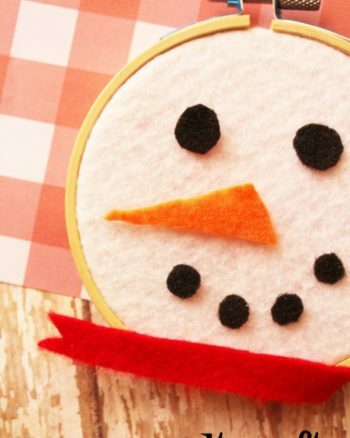 Add a small dab of hot glue to the back of one of the popsicle sticks and place the end of the yarn on the glue. Let set (see photo). Begin to gently wrap the yarn around the popsicle stick 1-2 times and then bring it over to another stick wrapping another 2-3 times (see photo). 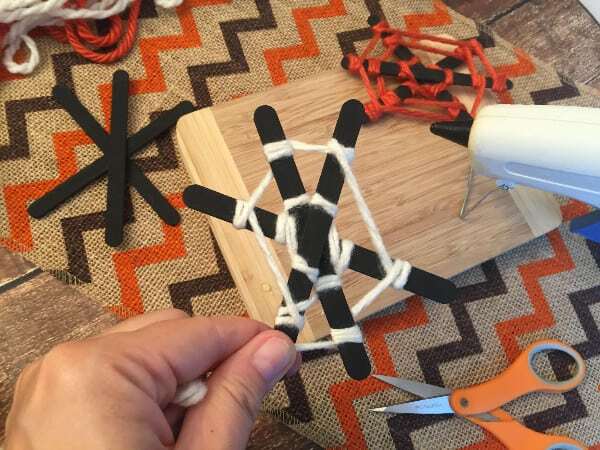 Work your way around the popsicle sticks until it resembles a spider web. Hot glue the very end of the yarn on the back of the popsicle sticks and snip the extra with a pair of scissors. Hot glue a few spiders to the spider web. 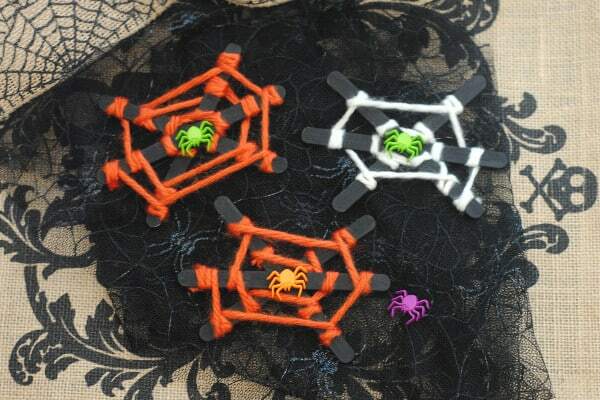 Make as many as you like, use a variety of yarn and spider colors to create a colony of spiders!